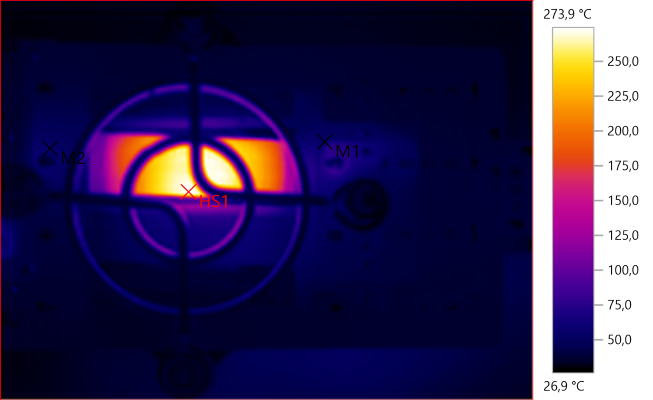 The load was in a plastic bag, no box or instruction sheet was included. 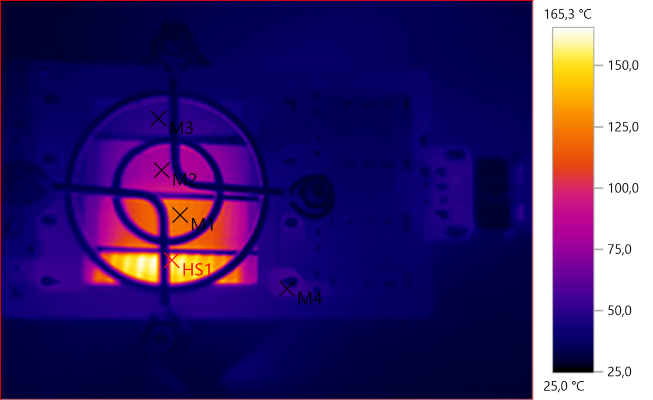 All the leds works in parallel with a single resistor. 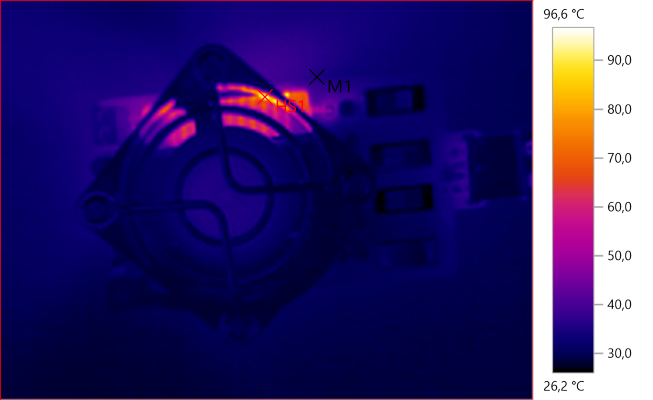 The led at the usb connector is on when power is connected and uses about 0.7mA at 5V. The other leds will turn on when the switch for that resistor is turned on. 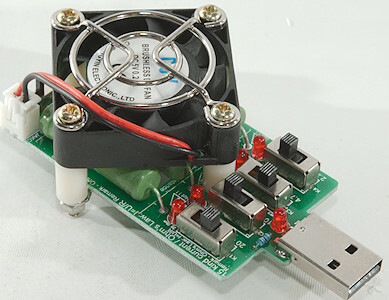 The fan is in parallel with the power input and there is a series resistor that can be switched in or out for low or high speed. The grid protecting the resistors is a good idea, even with the fan they can get hot. 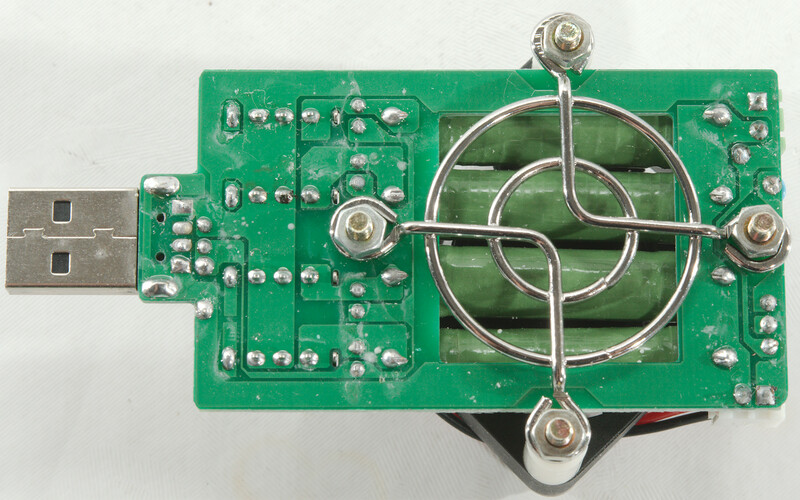 The usb connector is NOT coded and Quick Charge or other signals must be generated with a trigger placed between this load and the tested power supply. 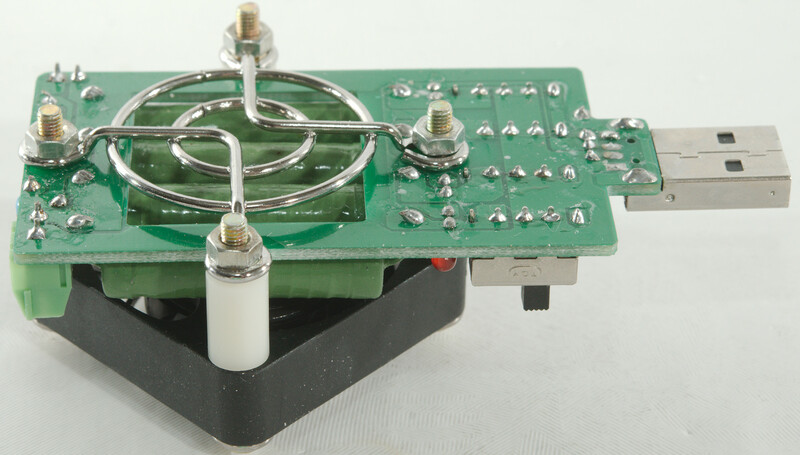 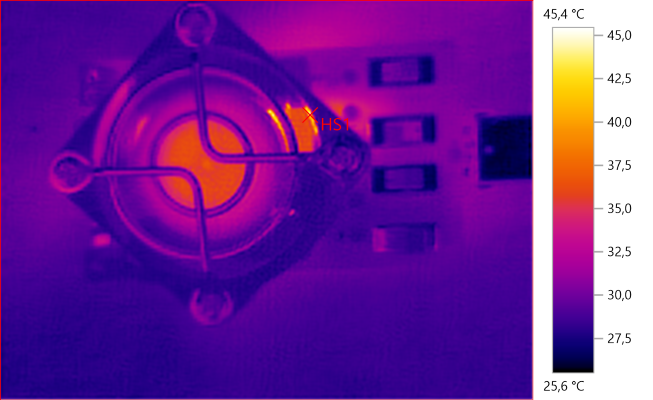 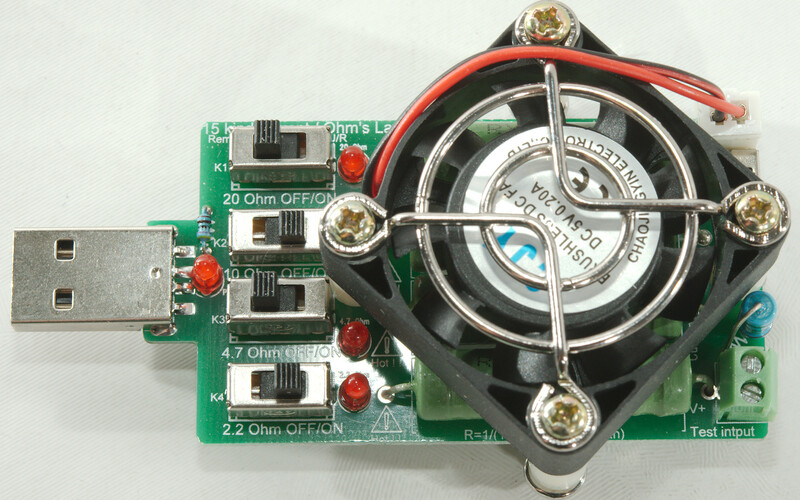 The higher value resistors in the load can be used with higher voltage if the fan is in "low" position. With fan in "low" position the input voltage can be up to 14-15 volt. 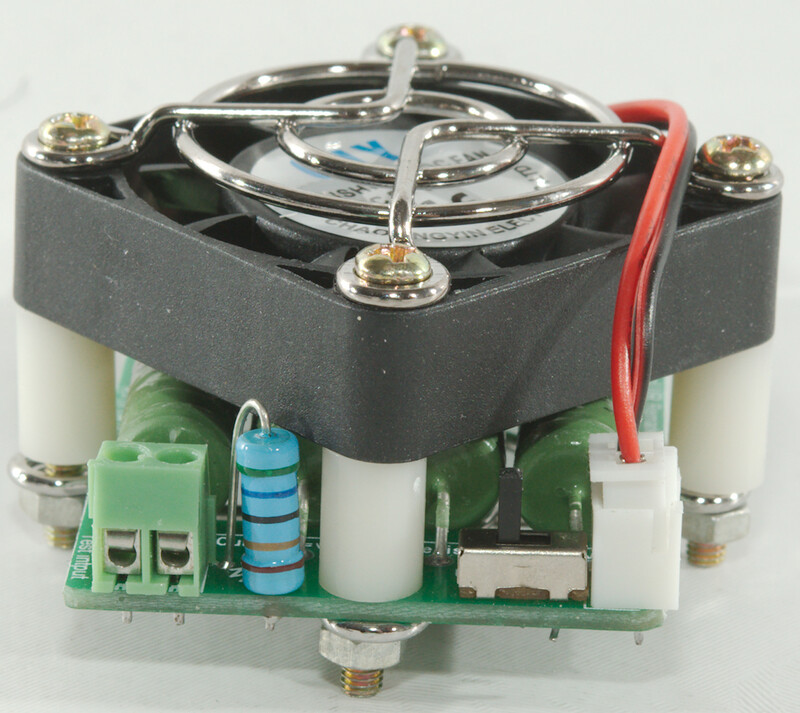 The fan will probably blow if high speed position is used when input voltage is above 6 volt! 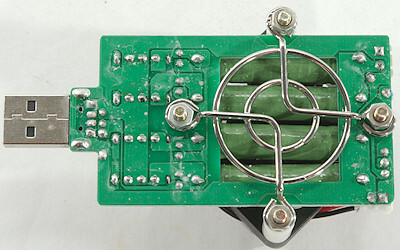 Being a resistor the current will depend on voltage, but the fan add some extra current. 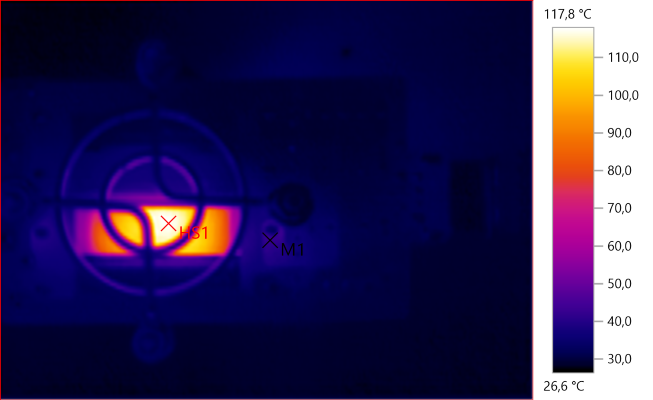 This is most obvious at low current draw. 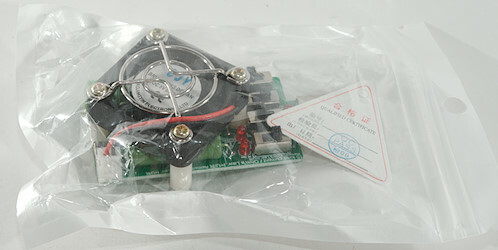 At high speed the fan will draw more current. 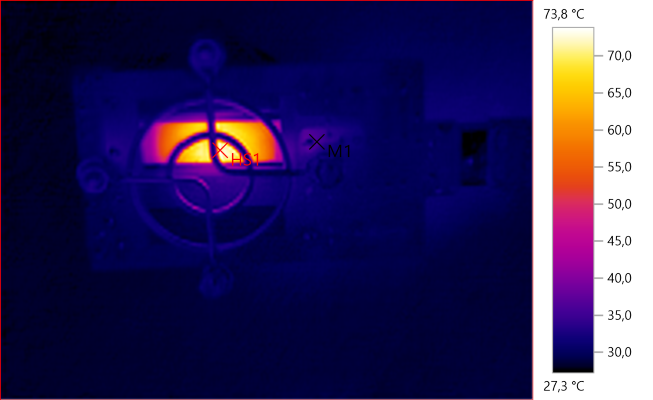 Here is the fan current at low and high speed. 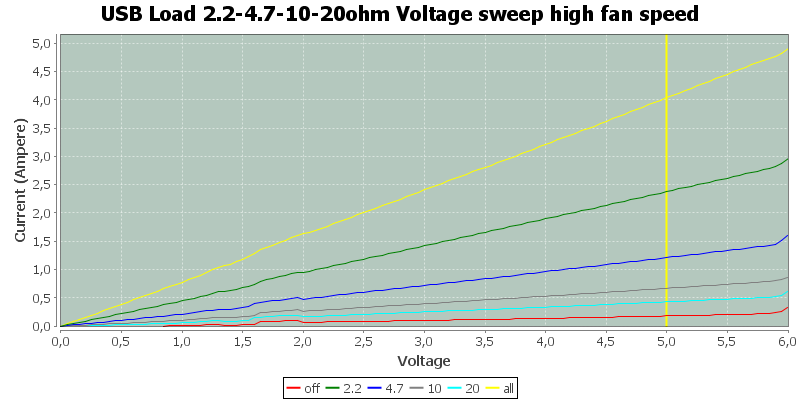 The fan do not like above 6V, notice how the current draw increase dramatic in high at around 6V. 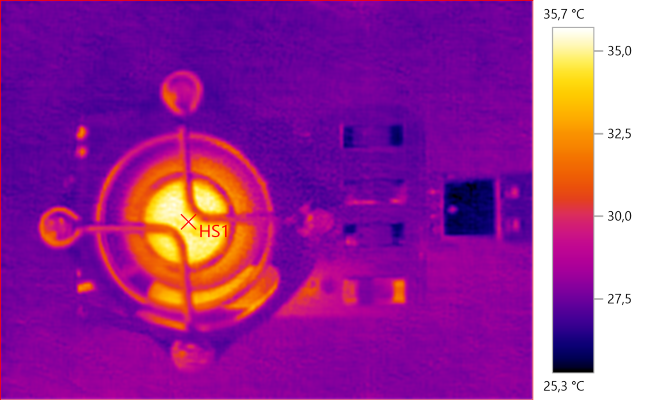 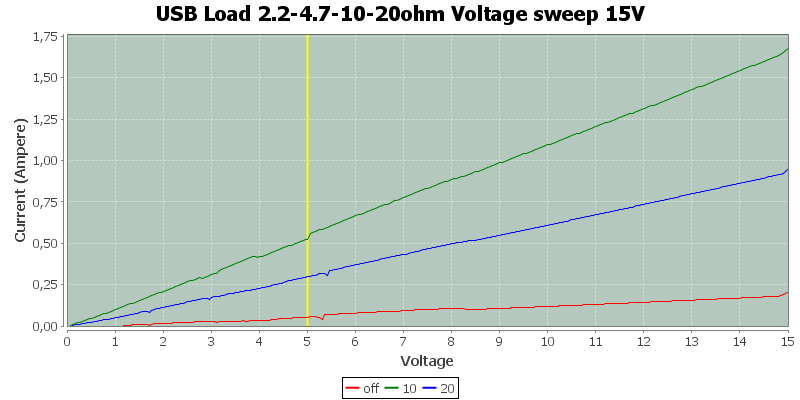 The low fan speed is best used for higher voltage input, here I have tested 10 & 20ohm resistors with up to 15V input. 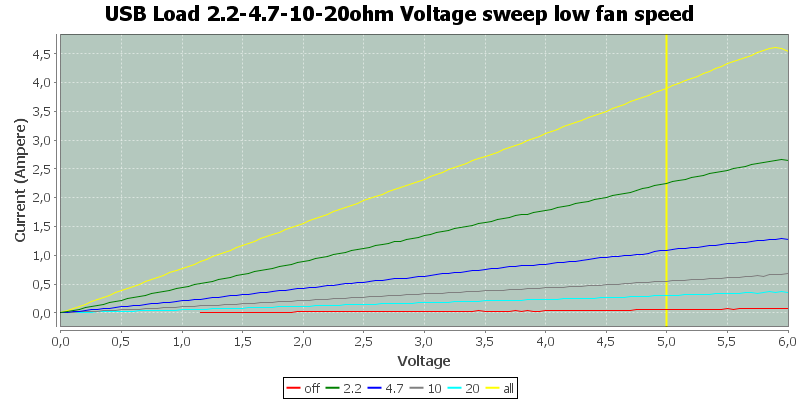 I would not recommend using the two lower values with voltage above 5V. 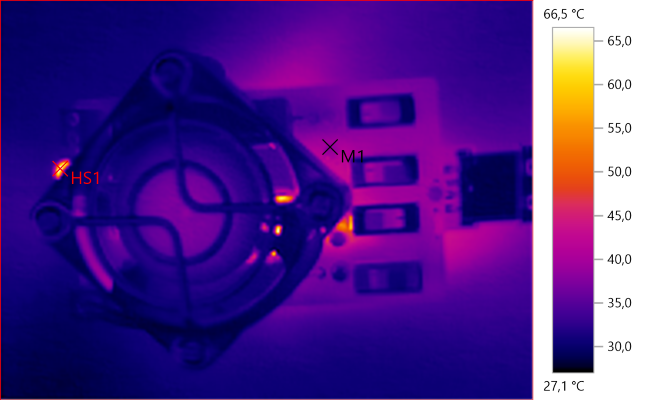 The ticks in the curves are from the fan, in it unstable below 6V when on low. 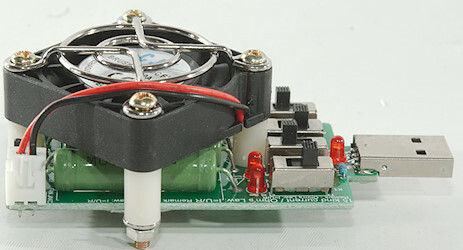 Due to the fan there is a small variation in current, especially at the start where the fan needs more power to start. 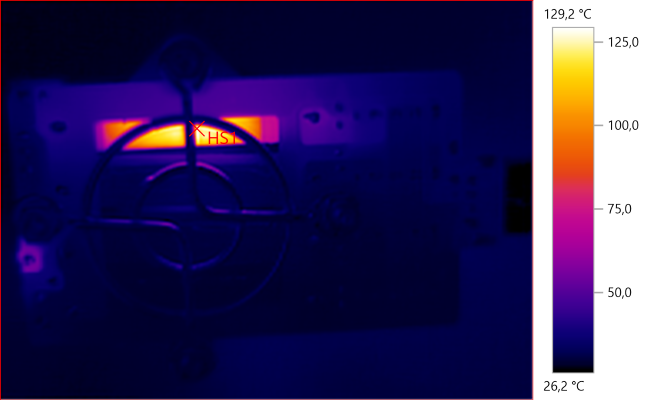 The temperature is perfectly fine for the resistor. 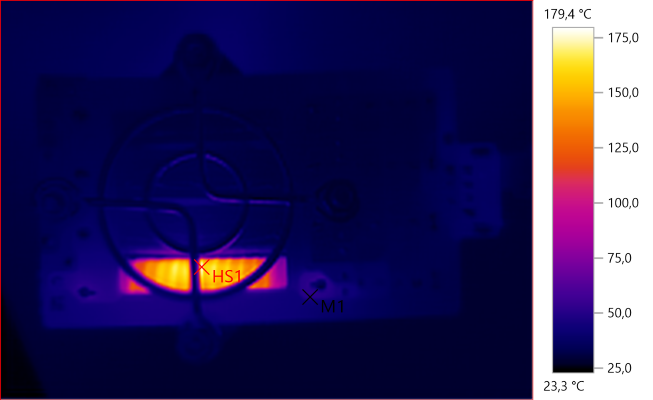 Even this is fine for the resistor. 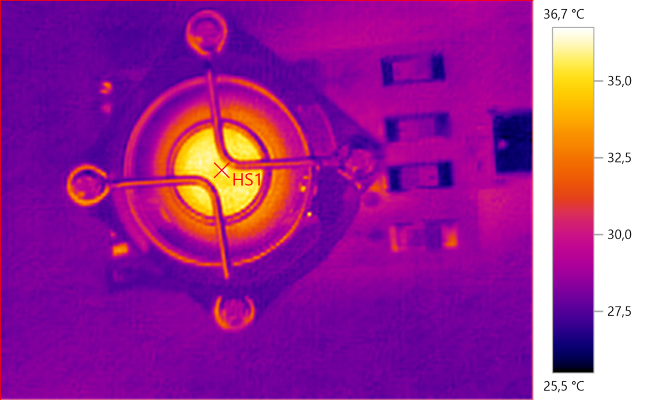 The resistor get hots here, but not too hot for this type resistor and protective metal grid reduces the risk for nasty burns. 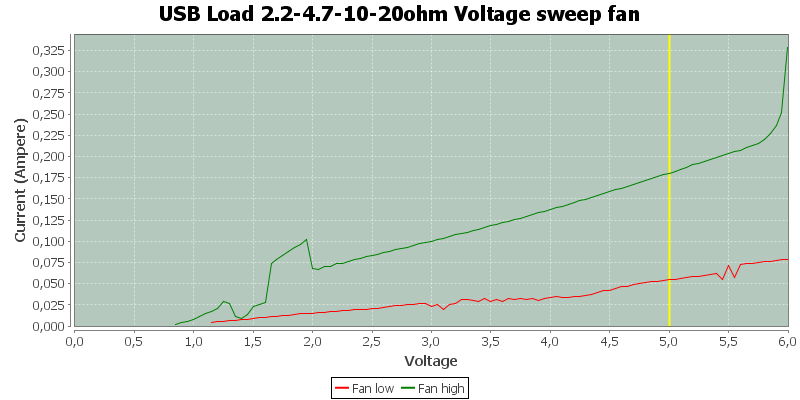 Setting the fan speed switch to high will probably destroy the fan! 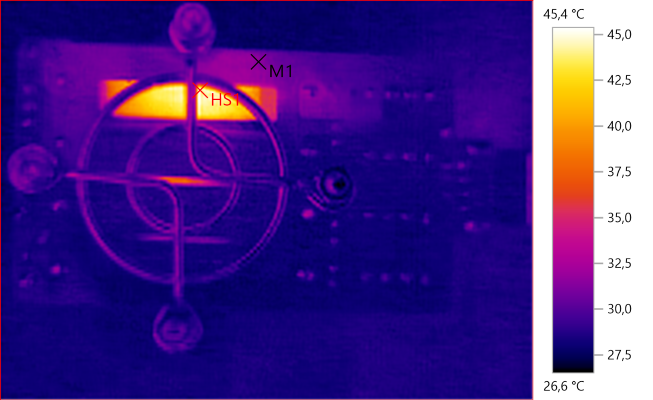 The temperature on the resistor is acceptable. 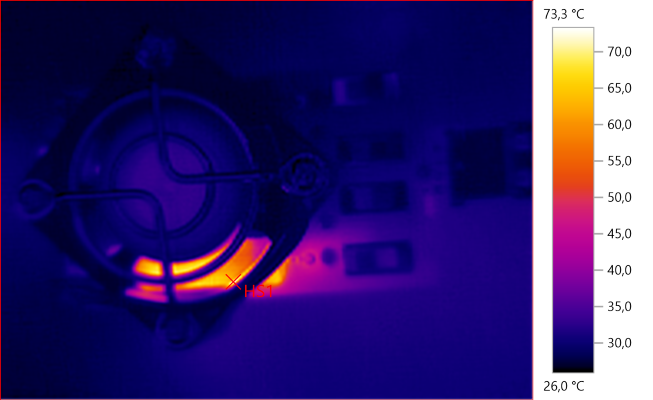 Here the temperature is a bit too hot for the resistor. 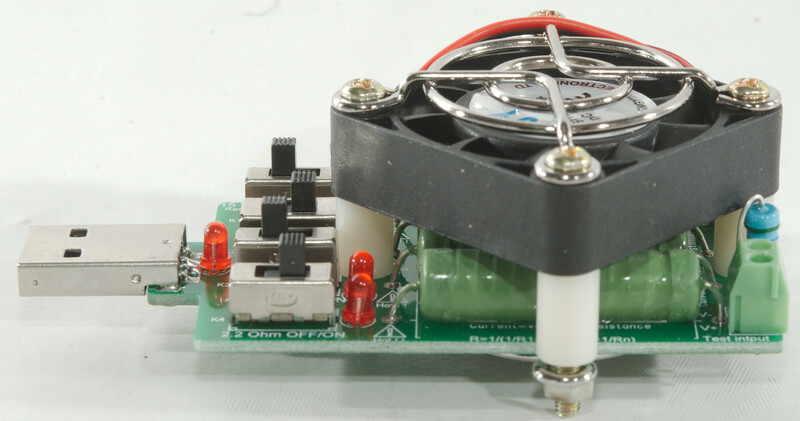 With the added fan the load can handle much more power without getting too hot, some of the resistors can be used at higher voltage, but it is very important to switch the fan to low speed. 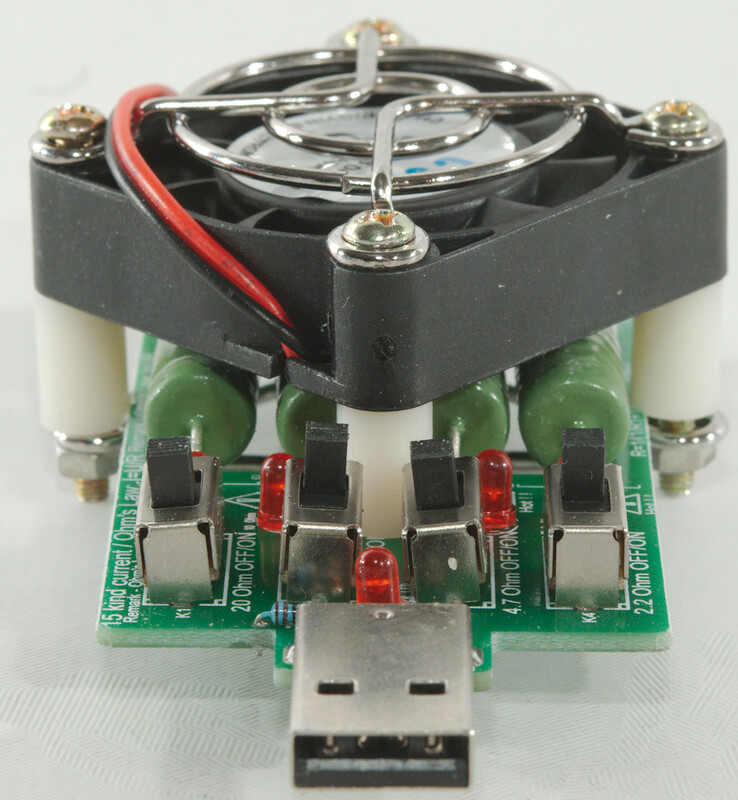 Due to the fan the current draw is not very precise, but as long as a usb meter is used to calculate mAh it is good enough. 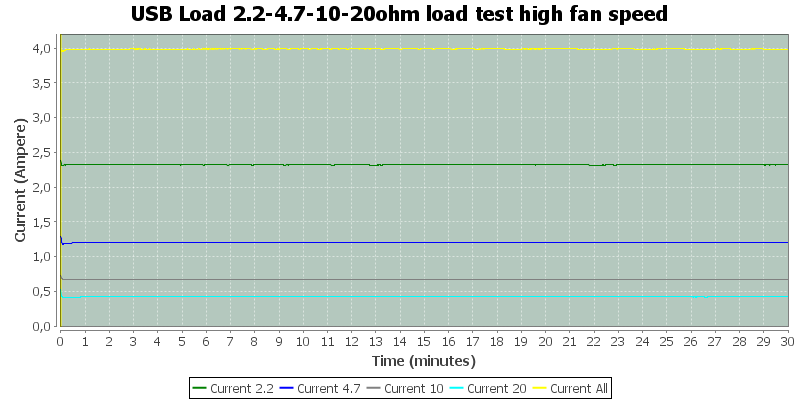 This load is fine for testing mAh on power banks (with usb meter) or doing longer load test on usb chargers. The device was supplied by Banggood.com for review.